Light Harmonic developed four special door speakers/woofers that will give you some crisp highs, fluid mids, and deep sounding bass. This set truly sounds amazing! The speakers have a much higher sensitivity and produce a higher volume with an extended lower frequency range. Featuring a specially engineered, intuitive 600W Class D amplifier that will deliver 600W of continuous power to your subwoofer. 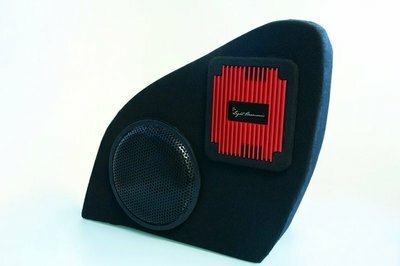 We also added a crossover to supply your sub those low frequencies while maintaining a firm and fuller bass foundation. It works perfectly with the supplied S4D door speakers for the Tesla Model S owner who doesn't have premium audio package.